The Curse of the Wendigo + Happy Halloween! 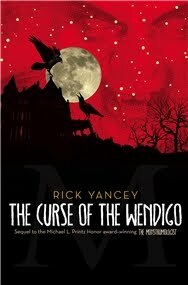 Today I’m over at The Book Smugglers with a review of Rick Yancey’s The Curse of the Wendigo, the excellent sequel to The Monstrumologist. Ana and Thea very kindly gave me a copy of the book as an All Hallows’ Read gift and invited me to join their Halloween Week celebrations. Thank you again, ladies! 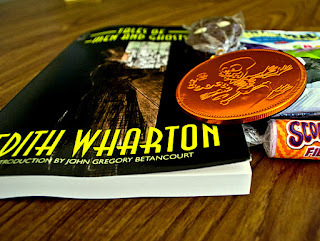 I also received Edith Warthon’s Tales of Men and Ghosts from my lovely partner, and earlier today I released a gently used copy of The Woman in Black into the wild, where it will hopefully make some unknown booklover’s day. Have you given or received any books for All Hallow’s Read? If not, it’s not too late to join in! 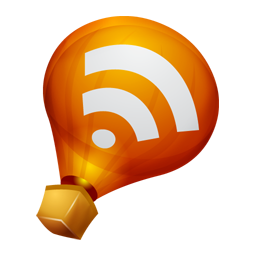 And if you’re looking for recommendations or ideas, you can find some here. To those of you who celebrate it, have a very Happy Halloween! My plans for the evening include watching The Wicker Man (original version) and The House of Long Shadows, eating a lot of candy, and later curling up with Wharton’s stories. This is always my favorite time of year. I love the scary stories to share, and am looking forward to picking up The Monstrumologist sometime soon. Edith Wharton is always a favorite of mine, and I have a collection of her ghost stories, but am not sure if they are the same that you have. Enjoy the day! It sounds like you are going to be reading and watching some great things today! Happy Halloween, Ana! Ooh, I love The Wicker Man - although I hate that people ask me about human and animal sacrifice when they find out I am pagan! Happy Halloween Ana! Sounds like a wonderful way to spend Halloween! Enjoy!! !